A new study has found that as little as eight manicures under a UV lamp can cause DNA damage to the skin, increasing the risk of skin cancer. For y'all who don't know, salon UV lamps are used to speed up the nail drying process and - in most cases - used to cure gel nails. These lamps contain a UVA light that is similar to the ultraviolet lights used in tanning beds. 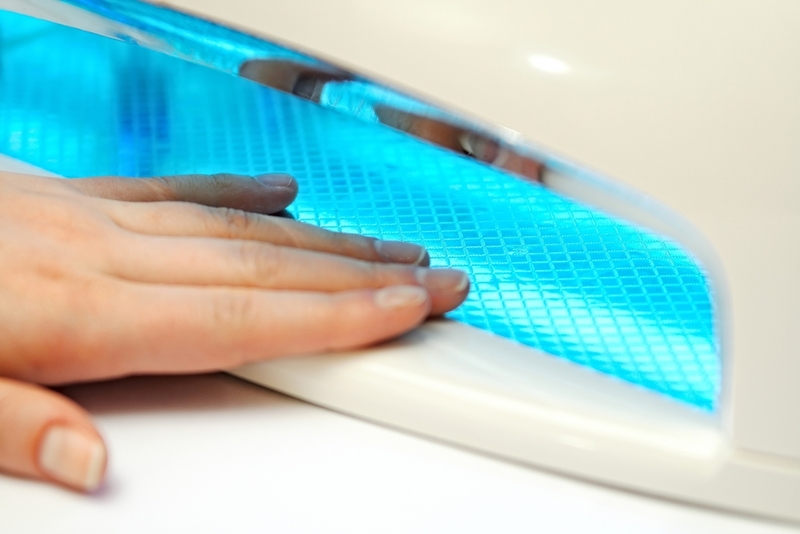 This new study, conducted by researchers from Georgia Regents University, tested 17 different salon UV lamps to see how much ultraviolet radiation they emit whilst a person's nails are under the light. The study found a wide variation in the amount of UVA light emitted during eight minutes of nail drying or curing. The amount is measured in joules per centimetre squared and the UV lamps emitted between one to eight joules per centimetre squared. Now, this amount isn't bad considering DNA damage that can lead to skin cancer is known to occur around 60 joules per centimetre squared. However, although the researchers found that none of the UV lamps came close to that figure, they did estimate that having 8 -14 salson manicures over 24 to 42 months, would reach the threshold for DNA damage to the skin. So, frequent salon manicures can cause DNA damage to the skin, which can subsequently increase your risk on skin cancer. However, it's important to note that most doctors agree the risk is very low. If you are concerned about these risks but don't want to say goodbye to a good salon manicures, coat your hands with a good SPF right before getting your nails done.